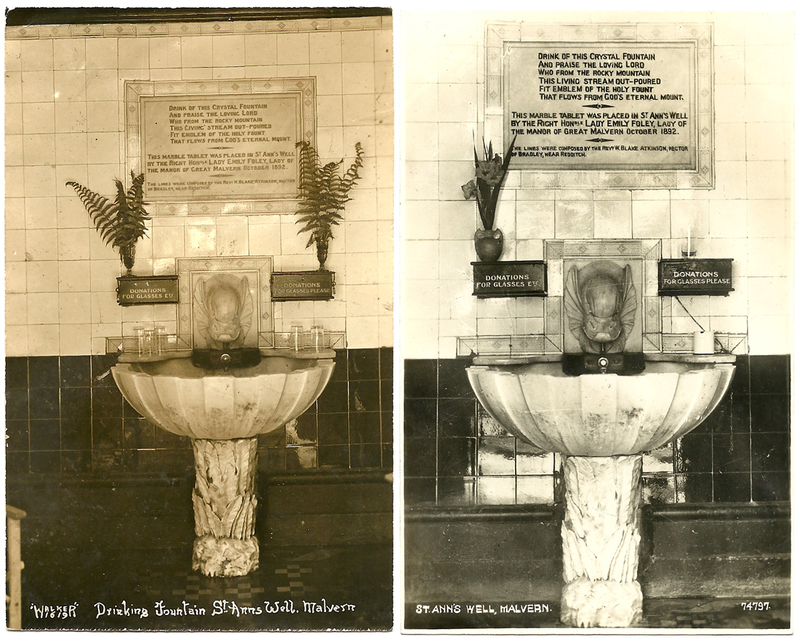 Image #1: “WALKED” / 17/6/91 Drinking Fountain St Anns Well. Malvern | MALVERN / 10.30AM / 1 SEP 1949 / WORCS / Dear Doris / Having most / wonderful time. / Went to Theatre / last night. / Dermot Walsh film star / in “Stars Bow Down”. Long letter to follow. / Rained all night. / Most beautiful morning. / Love Jean. Drink of this crystal fountain. / And praise the loving Lord, / Who from the rocky mountain / This living stream outpoured; / Fit emblem to the holy fount / That flows from God’s eternal mount.